Situated on beautiful Pensacola Bay, the park is designed for multi-use tenants. The subject property includes seven lots that are within the Vince J. Whibbs Sr. Maritime Park complex. 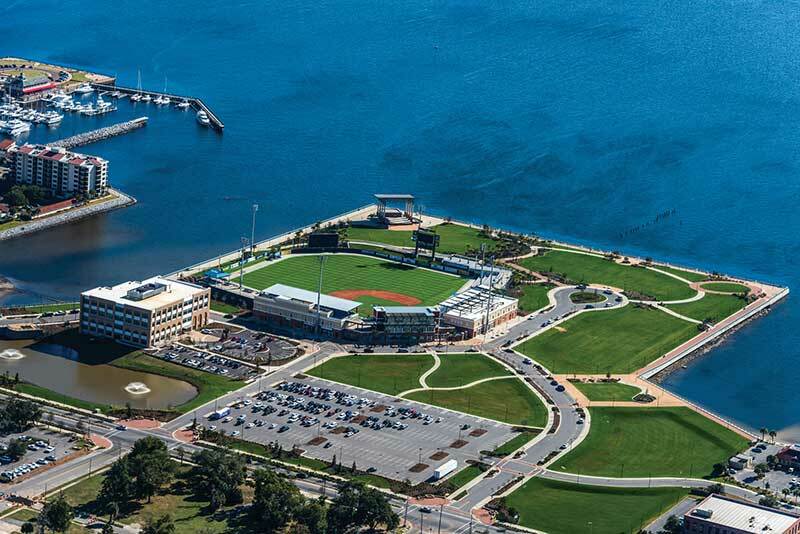 The presence of the new park and the Pensacola Blue Wahoos baseball franchise and stadium have had a positive impact on the area. This premier location is in the highly desirable downtown waterfront district, where there has been a trend of revitalization. *Lease rates subject to current appraisal and approval by Pensacola City Council.